I love this Port Angeles home with a mountain view, and not just any mountain. This is Hurricane Ridge out the window, and it’s beautiful. 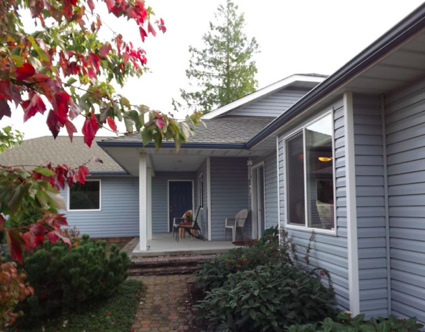 This home sits on 5 private acres with a fenced back yard, all on one level with no stairs and ADA qualified. There are no stairs from the garage into the house. There’s an emergency generator, too. This is a custom built home with high quality materials and workmanship in a gorgeous area up Deer Park Road but only 15 minutes from the hospital. Hurricane Ridge is a great view from the living room windows. The open floor plan is what so many retirees want. You can be cooking in the kitchen while holding a conversation with your spouse who is sitting in the living room and watching TV. With 5 private acres and an unhindered mountain view, this is a rare find, especially at this price. You learn more about this home by going online at the MLS at Port Angeles Home with a Mountain View.